Jamie Carragher’s light-hearted jibe at Gary Neville over his career as a full-back on an episode of Sky Sports Monday Night Football, where he claims that no young footballer aspires to grow up and become a full-back, wasn’t too far from the truth. A position whose importance has often been neglected, it isn’t always the most fascinating prospect, but in Brazil, the land where all forms of football are beautiful, it is a different story. Since gaining an international reputation for their aptitude in the sport, they’ve produced the world’s best in the role and continue to do so. Carlos Alberto and Marinho Chagas dominated the flanks in the 1970s, Flamengo pair Leandro and Júnior earned that status in the 1980s, Maicon and Dani Alves carried the superiority in the 21st century, while Marcelo and Alex Sandro are modern-day heroes of the role. In the middle of these generations, however, came two players who revolutionized the role; one being the powerful and adventurous Roberto Carlos, and the other being the iconic Cafu, who would become Brazil’s most capped male footballer ever. 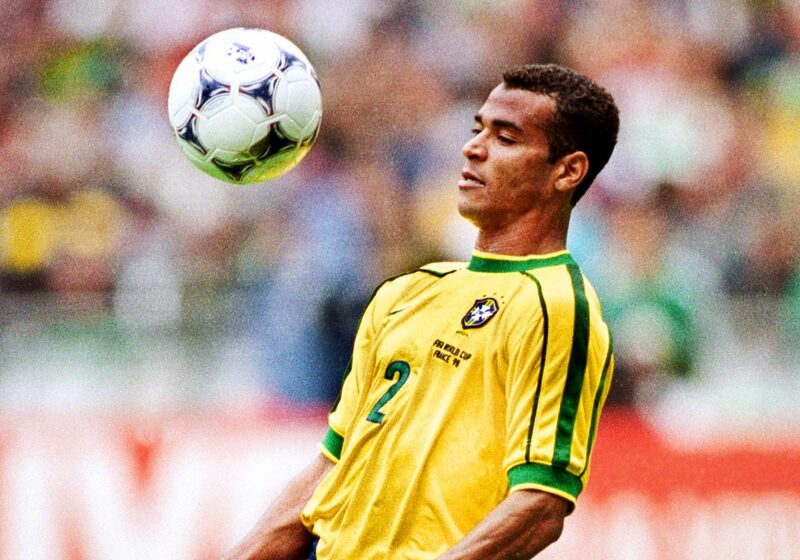 Born in 1970 – the same year Brazil won their third World Cup and became the sport’s most successful nation – Cafu cited his birth year as his inspiration for becoming a footballer. A mere two weeks after his arrival into the world, Carlos Alberto scored one of the greatest team goals of all time in the competition and would cement his status in Brazilian football folklore along with his teammates who dismantled a fine Italy side. Born as Marcos Evangelista Moraes in Jardim Irene, a tiny favela in São Paulo, he got his popularised nickname from Cafuringa, a former professional player for sides such as Fluminense and Botafogo, after spending his early days on the right side. The rough streets of Jardim Irene – one of the poorest regions in the city – taught him to never give up. It was a lesson he carried throughout life, as local giants São Paulo FC snapped him up as an 18-year-old following a series of rejections from some of the country’s other big clubs, including Palmeiras and Santos. It took a friendly against his prospective side, for another local team called Itaquaquecetuba, to finalise his transfer, as academy coach Carlinhos Neves needed more convincing to bring him on board. 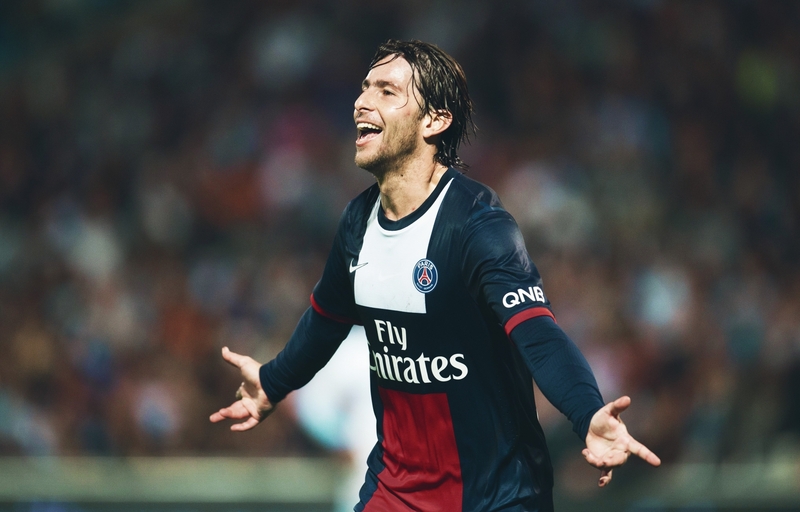 In the end, however, it worked out, as the then-right midfielder was given the chance to make his career in the game. This was Cafu, in development. Cafu owes a lot of his success to the legendary Telê Santana, the revolutionary Brazilian coach who is renowned for bringing the attacking mind back to Samba football, spectacularly displayed in Brazil’s iconic 1982 World Cup side. His methods invited Cafu to switch from being a right midfielder to a right-back, and while that was slightly influenced by an injury to São Paulo’s first-choice right-back, Zé Teodoro, it was one of the most innovative moves in Brazilian football history. It also gave the country one of its greatest-ever footballers – and on a lighter note, satisfied Jamie Carragher’s playful theory. Two years later, he cemented himself as one of the world’s finest full-backs in a matured display as São Paulo dispatched Palmeiras 4-2 in the first-leg of the final in Brazil’s top tier. He was involved in all four goals, scoring one – a stunning volley with his weaker left foot – assisting two and winning the penalty for the fourth. His inspirational display gave his side a comfortable cushion for the second leg, which they would win once again to claim their 18th championship, their second in succession. A week later they overcame Johan Cruyff’s Barcelona, the champions of Europe, to win the Intercontinental Cup in Tokyo as Cafu’s honours list continued to grow. By the time he turned 24, he already had two Copa Libertadores, Intercontinental Cups and Campeonato Paulista honours to his name, around 30 national caps, and was building a great reputation for his exploits down the right flank. Although he lacked finesse to his crosses, which was arguably his only flaw, he was well-renowned for his dangerous overlapping runs, which offered another outlet down the right flank and made São Paulo such a potent attacking force. He was occasionally deployed at right midfield as well, and it was his versatility that made him such an important asset. It bore fruit as he was given a spot in the squad for the Brazil side travelling to the United States for the 1994 World Cup, where he would achieve his greatest success to date. In a side filled with champions from around the globe, there was a perfect blend of world-beaters and aspiring, hungry footballers. Led by the excellent Carlos Alberto Parreira, they were favourites to go all the way. Still only 24, Cafu played second fiddle to the more experienced Jorginho, who, having previously been at Bayer Leverkusen, was at the peak of his powers with Bayern Munich. He only made three appearances, all of them off the bench, as Brazil would make it all the way to the Rose Bowl to contest the final against Italy. As fate would have it, he would spend more time on the pitch than on the bench as Jorginho pulled up within the first 20 minutes, giving Cafu the chance to strut his stuff. His side would keep a clean sheet and subsequently overcome the Azzurri on penalties to win their fourth World Cup, giving Cafu the best experience of his life to date. This was Cafu, in progression. 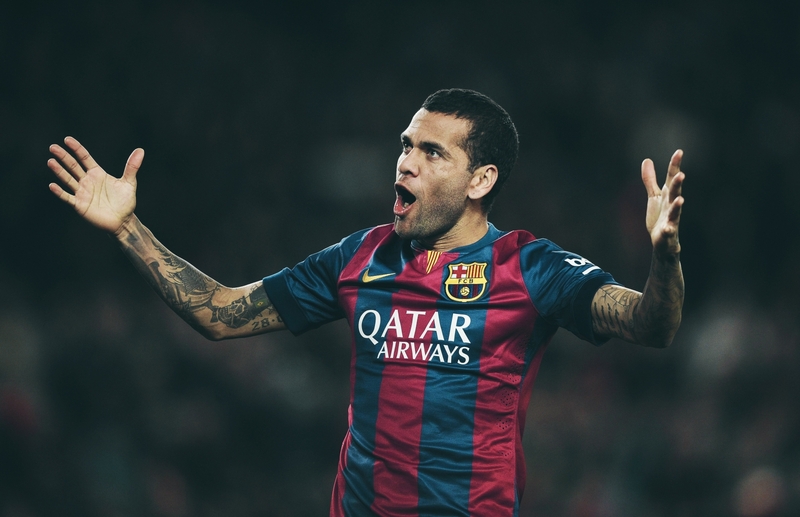 “Trend-setting in being one of the first truly great attacking full-backs. Excellent at getting forward, but very strong defensively as well.” Andrea Pirlo, in typically accurate fashion, nailed his description of Cafu. Gone were the days when he struggled to adapt to his defensive duties or plug-in pin-point crosses, and in came a period where he was amongst the best footballers on the planet, but not before a period of struggle. Following the glory in California at the World Cup, he earned his first move to Europe, as Spain’s Real Zaragoza took him on a short-term deal with an option to extend the move. Although this seemed like the ideal transfer, the timing of it disapproved of the upward spiral that was Cafu’s playing career. His arrival coincided with the playing days of Zaragoza legend Alberto Belsué, as well as an injury to the Brazilian’s pubis, which drastically restricted his time on the pitch. In a hectic phase of his career, he would move back to Brazil to join tiny southern club Juventude where his rebuilding path to would commence, albeit with a few more complications. An agreement between Zaragoza and São Paulo prevented Cafu from moving to Palmeiras, who had taken over the reins in Brazil. His temporary deal with Juventude was arranged so that he could remain in prime shape before eventually jumping ship to the Verdão. Two years with them brought him another Campeonato Paulista, and in 1997, with his status as Brazil’s first choice right-back now cemented, he would taste more success on the international scene at the 1997 Copa América in Bolivia. Coach Mário Zagallo felt Cafu’s tenacity fitted his plans perfectly and Brazil, with arguably a better side than the one that had won the World Cup three years prior, steamrolled their opposition match after match. Ronaldo, Romário, Leonardo and co. were in top form as Brazil followed their 10 group stage goals with 12 in the knockout rounds – seven of which came in the semi-final against Peru – to strike fear into the watching world a year before the defence of their World Cup was due to begin. A solid campaign for the now-ripe Cafu earned him a return to Europe, this time in the Italian capital with Roma, and gave a greater audience a glimpse of his South American flair down the right flank. If Cafu’s South American education under coaches like Santana and Parreira had taught him a lot about attacking football, he was about to enter a whole different world in Rome as Zemanlandia was running wild. Zdeněk Zeman has always made good use of full-backs, and this was perfect for Cafu as his liking for darting forward was utilised perfectly. Entirely unlike his first experience in Europe, this was probably what Cafu had dreamed of when growing up in Jardim Irene: the freedom to express what he’s got to the world and make it at the highest level as a professional footballer. When describing Zeman’s training drills, he spoke highly about the riskiness of their defensive line and how Zeman’s almost apathetic attitude towards the team’s defensive duties didn’t worry the Czech manager too much. “We did do some defensive drills, but tactically they were shocking; our offside trap was set almost in the middle of the pitch. It was suicide! Zeman didn’t care and wanted us to play like that in league matches.” He went into the World Cup in France with Zeman’s mindset, having worked under him for half a season. Now with a firm goal in mind – to defend their prized possession – Brazil would be at their sparkling best again. The attacking trifecta of Ronaldo, Rivaldo and Bebeto led their charge, but right at the start of the tournament, it was Cafu who did the job at the other end of the pitch. Playing under the shining sun at the Stade de France with the scores level at 1-1 against Scotland, it was Cafu’s strike, with some major help from the Scottish back line, that gave Brazil the win in their opening game. Although it was Cafu’s name on the scoreboard, to grant him his first and only World Cup goal, the referees panel eventually decided that it was an own goal. Nevertheless, it was still a surreal moment for the right-back as Brazil opened their defence with a win. Cafu was a permanent fixture in the side, playing in every game as they went through a group consisting of the Scots, Morocco and Norway, the latter getting the better of them in the final game. They turned on the style in the knockout rounds, overcoming Chile and Denmark in the round of 16 and quarter-finals respectively, but Cafu’s successive bookings meant that he would miss the game against Holland in the semi-finals. His replacement, Zé Carlos, did the job as Brazil scraped through on penalties and earned the chance to defend their title against the hosts, once again at the Stade de France. In Saint-Denis, however, it was a completely different story. The confusion surrounding the fitness of Ronaldo pre-match affected Brazil’s preparations as France, led by Zinedine Zidane, outclassed Brazil in one of the most one-sided finals in World Cup history. Cafu played the whole 90 minutes, unlike the match from four years ago, but this time it ended in misery rather than ecstasy. The damning result saw Brazil in heartbreak, but Cafu would head back to Rome, where he and Fabio Capello would make history following the departure of Zeman a year after the World Cup. This was Cafu, in transition. Capello’s first season saw their rivals across the city claim the title in stunning fashion as Lazio, with the impressive Sven-Göran Eriksson and Pavel Nedvěd, triumphed over Juventus by a point. The following year, however, saw a brilliant Roma side earn what they thoroughly deserved. Cafu was part of another great attacking outfit as Capello’s effective use of his forwards Francesco Totti, Vincenzo Montella and top-scorer Gabriel Batistuta saw them beat Juventus to the title by two points with a mammoth 68 goals. Cafu was moved into a more advanced wing-back role and became one of the most important cogs in the team, along with Frenchman Vincent Candela down the left wing. Running up and down the flank, galloping past opponents with speed and ferocity, was the norm at the Stadio Olimpico as Cafu’s reputation continued to grow. A fearsome sight on the ball, he made overlapping runs at every opportunity, while his partnership with his attackers continued to improve as the season went on. In the summer preceding the title win, Roma had splashed out a massive £50 million, bringing in Walter Samuel in defence, Emerson to rampage around the middle of the park, and Batistuta to put the ball in the net. But it was Cafu, who for 90 minutes every week roamed up and down the pitch to strengthen both halves, who was critical in helping them win their first Scudetto in 18 years. 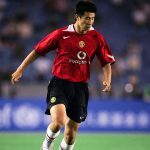 In a game against eternal rivals Lazio in December 2000 came a moment of personal magic, a clear display of samba flair that sent the packed Olimpico crowd into hysteria. In a tight affair, with the ball coming at him at an awkward height, he made the most of the bounce and juggled the ball over the great Pavel Nedvěd thrice, earning a derby moment of his own with a triple sombrero. While it may not be as good as scoring a goal in the same game, or an assist at the death, he still regards the moment highly, with the added gift of the three points making the moment sweeter as they marched to the title. A year later, Juventus got their revenge and claimed the title. In an era when the 18-team league made title wins a close call, Juventus won by a point, and it was Roma’s failure to convert their draws into wins that cost them the Scudetto. Roma lost fewer games, but 13 draws, mostly coming at crucial points in the season, meant they failed to repeat their success. Capello’s players were still eye-catchingly good ahead of the grandest event in football, the World Cup, which would be Cafu’s third and first as captain. At 31, the 103-cap Cafu’s path to captaincy was as rocky as Brazil’s qualification campaign. Having started it with the armband, a sending off against Paraguay saw coach Vanderlei Luxemburgo strip him of his duties. The manager’s sacking, and subsequent appointment of Luiz Felipe Scolari, saw Emerson take over as they headed into the World Cup. But fate would be on Cafu’s side once again, as an unfortunate shoulder injury ruled his successor out of the finals, and the armband returned to the right-back, with the aim of succeeding in the east. It was the Ronaldo show in South Korea and Japan. The in-form forward made the most of a relatively easy group including Turkey, Costa Rica and China, with his four group-stage goals sending Brazil through with nine points out of nine. Scolari used Cafu just as effectively as Capello, with his back-three system bringing the best out of his captain, who was used primarily as a wing-back. Once again, Cafu’s efficiency and energy were utilised as he played every second of the campaign – exactly what’s expected of a captain – and his troops charged through the competition to throw away the demons of France 98. The final against Germany, a team that hardly featured any world beaters bar Michael Ballack perhaps, was a tense affair. This German side was unlike any of their predecessors and stumbled their way to the final, where their defensive resistance was halted by the heroics of Ronaldo. The Player of the Tournament scored his seventh and eighth of the finals and etched his name in history, giving Brazil their fifth world title. In what was already a historic night for Cafu, where he became the first player in the history of the sport to participate in three successive World Cup finals, he had the proud moment of hoisting the prestigious trophy closer to the skies. While he did so, he didn’t forget home, having engraved the words “100% Jardim Irene” on his match-worn shirt. This significant image is still on display all over Brazil, as the captain became an inspiration all over the country. This was Cafu, an icon. He had morphed into a hero and a champion. Cafu was on the move again a year after the World Cup. Having done it all in a storied club career that went from Brazil to Spain, back to Brazil and then Italy, he was nearly heading to the Far East again, as Yokohama F. Marinos were set to import another Brazilian to the league for a final payday. Cafu claims that a deal that included a pre-payment had been agreed, but he later rejected the move due to interest from a giant closer to him: AC Milan. The Champions League – the pinnacle of club football – was his final motive, having won everything he possibly could have. The 2004 Scudetto was an added bonus, but the first chance at hoisting the game’s biggest club prize came in 2005, when AC Milan, having overcome so many great sides throughout the competition, reached the final and showed their mettle again – but only for 45 minutes. Barcelona, Manchester United, Inter Milan and PSV were all taken apart, and for the first half, Liverpool seemed like a walk in the park, with Milan going into half-time in Istanbul with one hand on the trophy. But their six-minute collapse and subsequent penalty botching threw away glory, as a Steven Gerrard-led Liverpool hoisted the trophy on a dramatic night. The Rossoneri were only good enough to challenge in Serie A but lacked the extra spark to capture another Scudetto. Nevertheless, just two years later, Carlo Ancelotti’s European pedigree was on complete display again, as Milan took apart the finest across the continent to make it to the final, once again against Liverpool, offering Cafu another shot at redemption. With the experience of Paolo Maldini, Alessandro Costacurta, Filippo Inzaghi and Cafu himself amongst their ranks, they strolled to a win, with Inzaghi scoring in his typical poacher’s style to give Milan their seventh European honour, and for Cafu, a moment of personal satisfaction as he achieved everything he had dreamt of so late in his esteemed career. In between this came the World Cup, where he had the armband and a nailed-down starting spot at right-back again – a great achievement for a 36-year-old. France and Zidane would be their nemesis once more, as Cafu bowed out at a stage that wasn’t the final for the first time, albeit with his head held very high. A record-breaking 142 caps meant that he was the country’s most capped male footballer ever and he has every reason to be proud of his career. Two Serie A titles, two Italian and European Super Cups, a Club World Cup and entries into both the Roma and AC Milan Halls of Fame were added in his time in Italy, and they are moralities he can be proud of. He’s an equally classy figure off the pitch, giving back to his beloved Jardim Irene by opening the Cafu Foundation, a centre for sports and recreational activities which looks to give underprivileged kids and families a new lease of life. He is Brazil through and through. A winner, a role model, an icon and a gentleman, Cafu embodies the spirit of sport and the spirit of his country. This is Cafu, a legend.